The 2016 Oxford Arts Alliance Member’s Show starts this Friday, August 19th, with an opening at their Third Street gallery from 5-8pm sponsored by Armstrong Cable Company. “This year’s Member’s Show is a real community art show, exhibiting art by the professional artist to the weekend amateur – which is a true reflection of what we are all about . ‘Community through Art’ is our maxim, and this show perfectly exemplifies that!” explains Chris Grove, Executive Director and show curator. With over 325 members, the Oxford Arts Alliance has a longstanding art presence in the local Oxford community and a growing presence in all of Chester County. This year’s show includes 60 artworks in a variety of mediums, including sculpture, paintings, drawing, photography, ceramics and jewelry. The exhibit will be taken down in early September, in time for the celebrated National Juried Show September 16 – October 14th, juried by Manhattan gallery Director Jennifer Samet. John Sauers ‘A Flowery Morning.’ Sauers’ work will be shown at the Oxford Arts Alliance Members Show, starting this weekend. Offering monthly art shows in their gallery as well as music and art classes and clay workshops throughout the year. Oxford Arts Alliance is an art resource and community gathering place to many in the Oxford area. 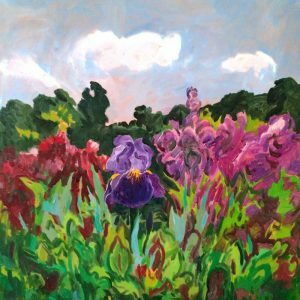 Oxford Arts Alliance member Torrey Kist just announced that she will be offering private abstract painting and drawing classes in the Kennett area for adults and teens. For more information about her private classes go to www.tskist.com. Art lessons for children and adults at Karen D’Allaird’s Willowdale Art Academy in Kennett Square are also getting filled up for the Fall term, and you can learn more about these classes in classic paintings and drawing fundamentals at www.willowdaleartacademy.com. This weekend is a very special theater event at West Chester’s new Resident Theater Company, housed in the wonderfully restored West Chester Armory, across the street from the Chester County Historical Society. 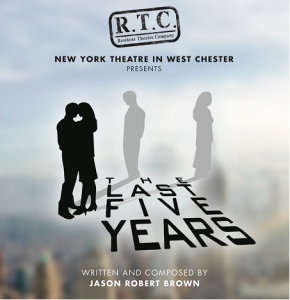 The modern day musical “The Last Five Years” will be performed this weekend under the direction of Broadway veteran Kristin McLaughlin Mitchell, who brings together New York theater actors Meg McWhorter and Barry DeBois to play the lead characters Cathy and Jamie. For ticket information go to www.rtcwc.org/the-last-five-years.html. August 19th and 20th shows are at 7:30 pm, with after-parties at 9pm across the street at the Chester County Historical Society. Sounds like an amazing weekend -who knew we could have Broadway theater here in West Chester?! On Wednesday August 24th there will be a plein air watercolor demonstration and tour of The Kuerner Farm in Chadds Ford, by esteemed award-winning watercolorist Stewart White (www.stewartwhitestudios.com). The docent-led tour begins at 1:15 and Mr. White’s demonstration begins at 2pm. This demonstration and tour were arranged through the Philadelphia Watercolor Society and The Brandywine River Museum of Art. This unique art event costs $10, with a sign up at www.PWCsociety.org, and does not include admission into the museum. You may park at the museum parking lot and carpool to the Farm at 1pm or drive directly to the farm, though there is limited parking. The Philadelphia Water Color Society was founded in 1900 and counts N.C. Wyeth, Andrew Wyeth and Jamie Wyeth as some of its most notable members. 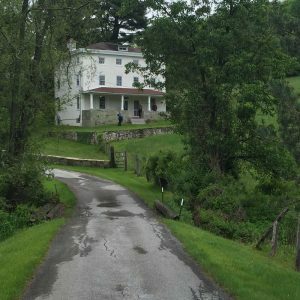 The Kuerner Farm inspired many of the Wyeth’s work, and is a beautiful and historic location for this exciting art event. To make this art day complete, make sure to visit the permanent collection at the Brandywine River Art Museum as well as their fantastic exhibition on contemporary children’s book illustration.